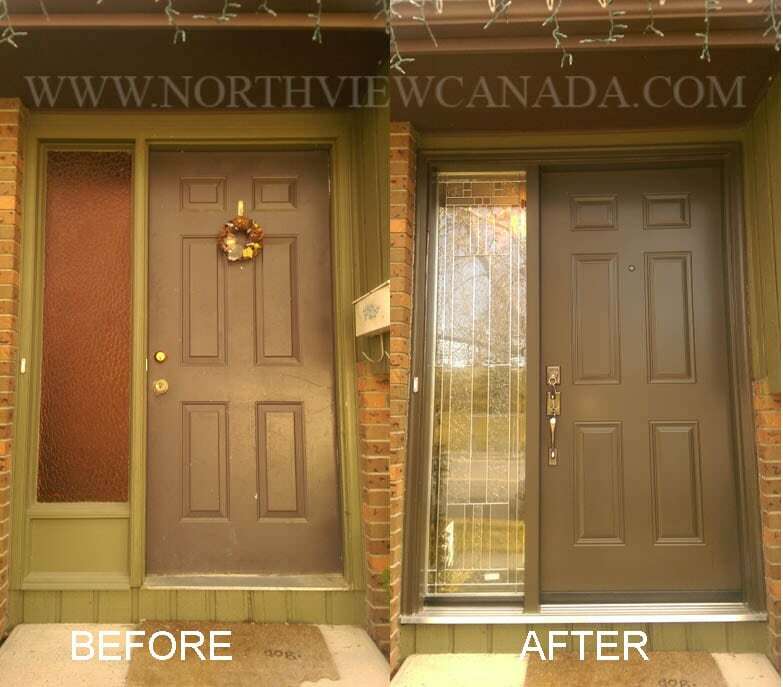 Northview’s experts offer professional advice and excellent design options when it comes to getting a makeover of your entryway. 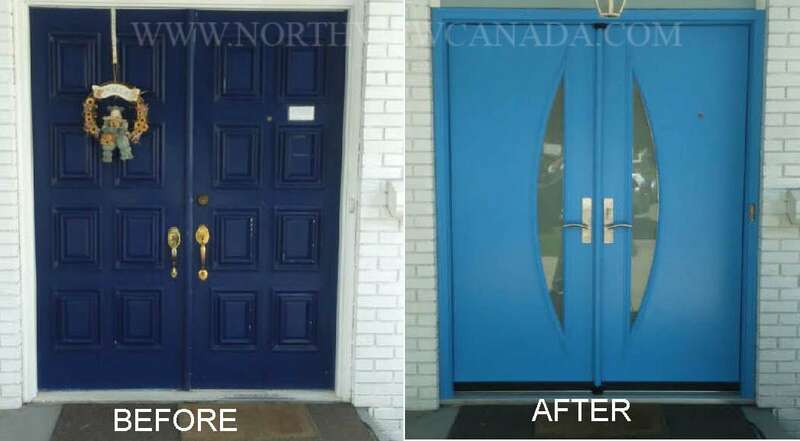 Take a look at some of the recent jobs with entrance makeovers completed in Calgary, AB. 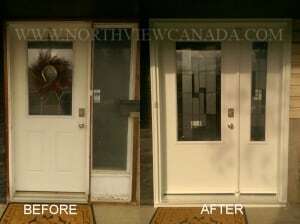 Door with a sidelight was replaced by same configuration, with 3/4 Kallima glass and a panel glass sidelight. Old wooden door became a modern 2 panel steel door with venting 1/2-lite. The old door with a storm door were replaced with an energy efficient FR01 model and an oversized custom sidelight with Cosmopolitan glass design. 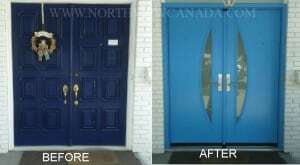 The existing navy blue double door with embossed panels was replaced by a sky blue door with smooth skin and shaped glass insert. 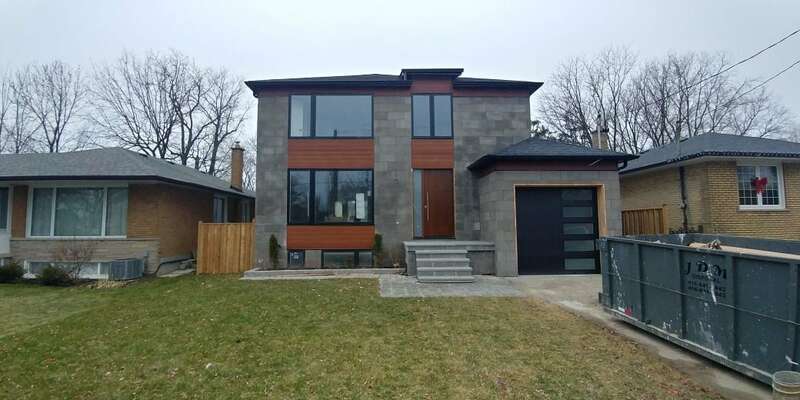 Appearance of this entrance was refreshed by a contemporary design full sidelight with Cachet decorative glass and a stylish handleset.